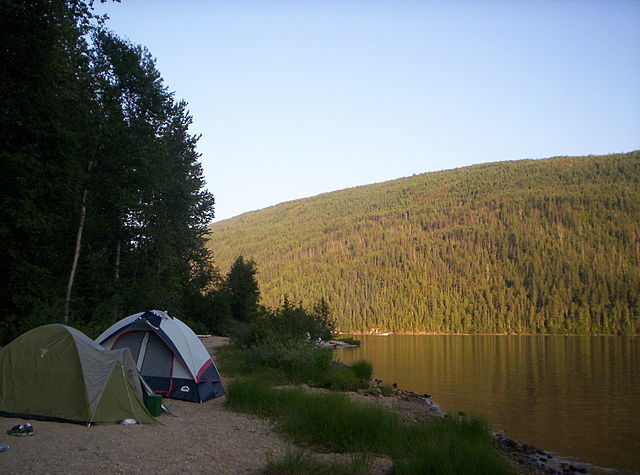 If you are looking for an exciting new way of seeking an adventure, then camping might just be what you are seeking. From being out in the open to being close to nature, camping offers a great variety of ordeals that will have something for everyone. Camping can be done in groups and even alone, it can be done with no compulsions so it is entirely up to you how you want to pursue this and enjoy your activity. As beginners there are some precautions that must be considered in order to have a smooth and safe venture. These camping hacks will surely guarantee a brilliant time so keeping them in consideration is of utmost significance. Firstly, always plan the journey ahead by keeping in mind the sort of geographical site that you are going for. It is important to be familiar with the campsite so that you are familiar with what might happen and can plan accordingly. When it comes to equipment it is strongly advised to go through professional reviews or guidelines before making purchases. The equipment has to be reliable, durable, comfortable yet simple to use so that while on the road one does not get confused and mishandle all the equipment by accident. It is warned that all the camping gear should be tested beforehand, just so the camper is familiar and has a chance to acclimatize himself. Camping gear should not be too expensive and ambitious if you are going for the first time as one does not know for sure whether he will like the activity or not. When it comes to camping, a lot of people undermine the importance of amenities such as torches, lanterns and non-perishable food items. One cannot fend for himself every single day so it is important that some sort of food supply is packed along with the rest of the belongings, in a water proof container. If as a beginner you have the idea of hunting without previous experience then that may not be the most sensible and reliable option, besides it truly depends on the campsite and the various bounties it offers. Furthermore, do not overestimate natural fires as they are hard to conjure up. Always carry some sort of ignition so that the campfires can be a smooth business. Safety is the fundamental key on any type of adventure. One must know their limits, strengths and weaknesses before going on such ventures as they may not be as overpowering so it is always better to be well-guarded. Beginners should ideally be accompanied by some sort of guide who can also lead them to perfect campsites and who are aware of the route so as to avoid any unforeseen accidents. Make sure that everything is properly sealed before sleeping so that wild animals are not lured into your camping area. A grave mistake made by most novices is that they keep food inside the camp which can definitely attract some animals so it should not be done. Protection is always paramount so one should ensure their safety before going on such quests. Beth Martel is a mother of two, a medical professional and a humalitarian. She regularly blogs at www.HealthyRecharge.com. PreviousGet your Smart Guide for Rio Free! NextPlan your Next Holiday in Yangon Myanmar!